How to keep going when all you want to do is give up. To some it comes naturally, to others it’s a myth. How do we force ourselves to push through, and power on, when every bone in our body is ready to give up and our heart aches for Netflix and a duvet? I’ve often wondered how Edmund Hillary felt in the last few hours before reaching the peak of Everest or how Richard Branson felt just before he reached his first million pound turnover… the last hurdle is always the hardest, but without doubt, the most rewarding. It’s also the reason why so few commit to the last nine yards; the nine yards being the bit that counts, i.e. the whole damn journey! When you feel like giving up ask yourself why you even started in the first place? What was the vision that had you so inspired to jump into the unknown? And would all that time and energy be wasted if you didn’t see it through? Willpower comes from the solar plexus. Some people seem to have it in abundance, especially Taurean’s or the stubborn types. I fall into both categories (not necessarily a good thing). Other people however, struggle with perseverance, commitment, and the ability to SEE the steps required to get to where they want to be. Vision is all well and good if you can see the end result but if you can’t visualise the route then visualising alone becomes powerless. 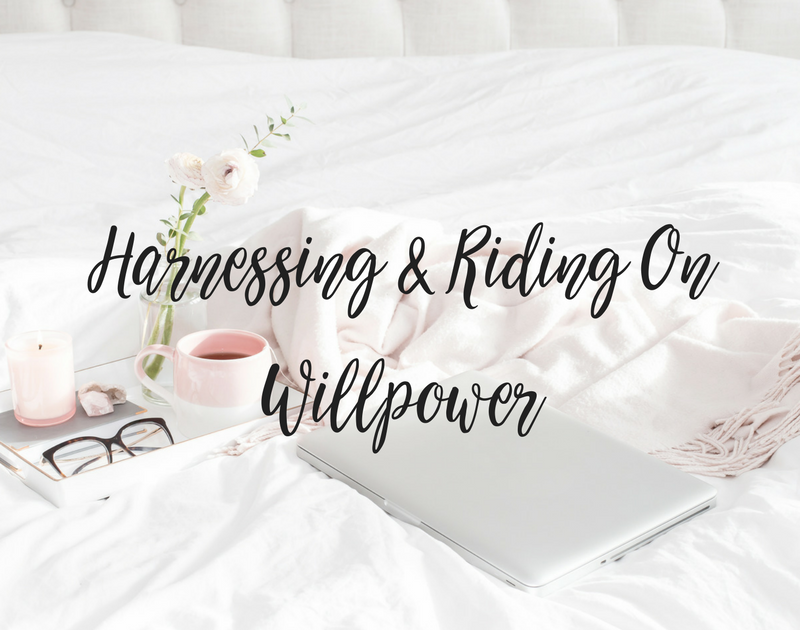 If willpower isn’t your thing then make planning your thing… planning doesn’t require chakra cleansing or a strong solar plexus, it just requires a level head and the ability to think backwards, kind of like counting back from 10. So we have a goal. Let’s call goal ‘B’. And we have a current situation. Let’s call that ‘A’. We want to get from A to B right? But we’re somewhere along the path with no idea of how far we’ve come, or how far is left to go and so we feel like giving up. Unless you have some serious natural willpower kicking in, you’re going to feel a little bit hopeless right now, am I right? OK, so let’s look at B… write it down. Then work backwards. What’s the step just before B? And the step just before that? And the step before that and so on, until you reach A (which should be where you are now). Does the end goal seem a little more achievable now? If it still seems like an impossible task, try chucking some gratitude and acknowledgement of self into the mix. Let’s look at ‘Z’. Z is where you were when you had that first light bulb moment or that urge to hack through the forest with your axe and design the life of your dreams. Now let’s count all the hurdles you’ve jumped to get from Z to A. Feel better? You should. That forest looks nothing like what it did when you swung your axe for the first time. Keep going, you’ve no idea how much your energy has already impacted the universe. Your decision alone was a leap of faith, and that was an energetic force capable of making miracles happen before you even lifted a finger. Before you fall into your duvet and stick a brain dead movie on, ask yourself if you want to have the same hopeless feelings and instinctive response in a years time? Or two years time? Do you want to be under the same duvet feeling that same frustration? Do you want to moving in the same circles and battling the same bills and financial pressures? Stop for a second. Collect your thoughts. Acknowledge your achievements. PLAN backwards from your B. And get the hell on with it!